This is a fun Halloween felt board story I used to tell at Girl Guide and Brownie Halloween events. The felt pieces I use are very plain – I should probably add some glitter glue and trim. 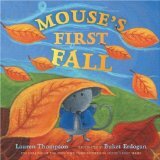 Today’s post highlights picture books that beautifully celebrate Fall and the changes it brings to the world around us. Lush green trees and fields gradually change to yellow, gold, orange and red. Pumpkins, squash and corn ripen while cooler breezes blow and the days shorten. We hope you will enjoy these fabulous Fall picture books with young readers and inspire them to create their own beautiful autumn artwork. Highlighted by luminous illustrations of a beautiful moonlit autumn night, By the Light of the Harvest Moon begins as the farmers wearily carry their last loads of the day. The full moon illuminates the animals grazing nearby and the quiet farmyard. Suddenly, a breeze blows through the farm, picking up the colourful dry leaves and swirling them about. A cloud of leaves settles in the pumpkin patch. When the gusts subside, leaf people emerge from the pile. First come grown-ups. Then come children… and then pets. All through the night, the leaf people celebrate the beauty of Fall; bobbing for applies, stringing popcorn necklaces, stacking pumpkins and making wreaths. After play, it is time to savor delicious pies ~ pumpkin, apple, pear and pecan ~ before the wind blows the leaf people into the sky. When the world around him changes from lush green to gold, Fletcher worries that something is terribly wrong. His mother explains that it is autumn but Fletcher continues to watch with alarm as the leaves on his favorite tree change color and then start to fall. “Don’t worry, tree. “I’ve got your leaf. I’ll fix you.” Fletcher looked around, picked a piece of grass, and carefully tied the leaf to a branch. As the tree’s transformation continues, Fletcher does his best to collect the leaves, despite reassurances from Squirrel and Porcupine. They want to use the leaves to stay warm and cozy. Young readers, familiar with the changes that autumn brings, will enjoy watching Fletcher discover the wonders of the seasons. The gorgeous ice laden tree is certain to inspire artists to read for their pastels and some glitter. Beautifully vibrant and intriguing mixed media illustrations highlight this picture book for very young children. Written in rhyming couplets, the book is second in a series about Kitten. As the young cat explores the out-of-doors, young children will delight in the many animals that are encountered. Each is eating and preparing for winter. For Leaf Man, author illustrator Lois Ehlert used color copies of beautiful Fall leaves from many different trees (including maple, ash, oak, birch, elm, poplar, hawthorn, beach, fig, cottonwoood, sweet gum). 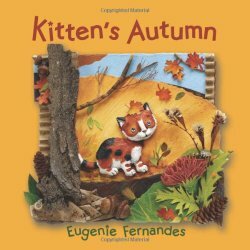 She crafted the beautiful rich colours, textures and shapes into an inspired story that will encourage young readers to discover the possibilities in a pile of autumn leaves. Die cut pages show us a fascinating world of chickens, ducks, geese, mics, vegetables, orchards, cows grazing, turtles and fish, butterflies, birds, and forestland, all created using leaves, acorns, maple seeds and sweet gum fruit . Mouse and Minka spend a joyous day celebrating the gorgeous rich colours of Fall. Mouse saw round leaves and skinny leaves and pointy leaves and smooth leaves. The two friends celebrate the many colors and shapes while happily playing together in an enormous pile of orange, brown and red leaves. Best suited to preschool-age children, extension activities could include classifying leaves by shape or color. My Princess Boy is a non fiction picture book about acceptance, written by Dyson Kildavis’ mom, Cheryl. Dyson is a young boy who likes to wear pink, sparkly clothing including dresses. He also likes to dance like a ballerina. Dyson’s mom worried that her four year old son would be teased and bullied by classmates and that he would encounter intolerant people who would not respect his preferences, so she wrote this book in an effort to encourage acceptance and compassion.